The Architecture Billings Index declined in August after a relatively robust year. 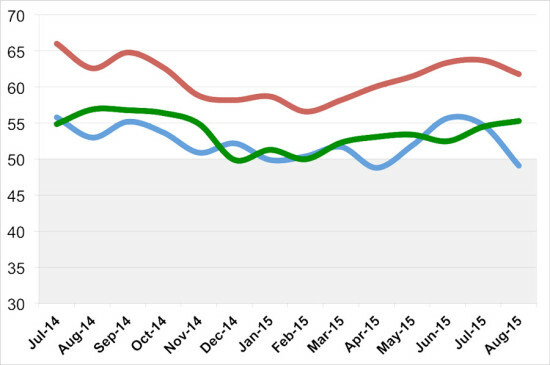 The August ABI score was 49.1, a decline of 5.6 points from July. 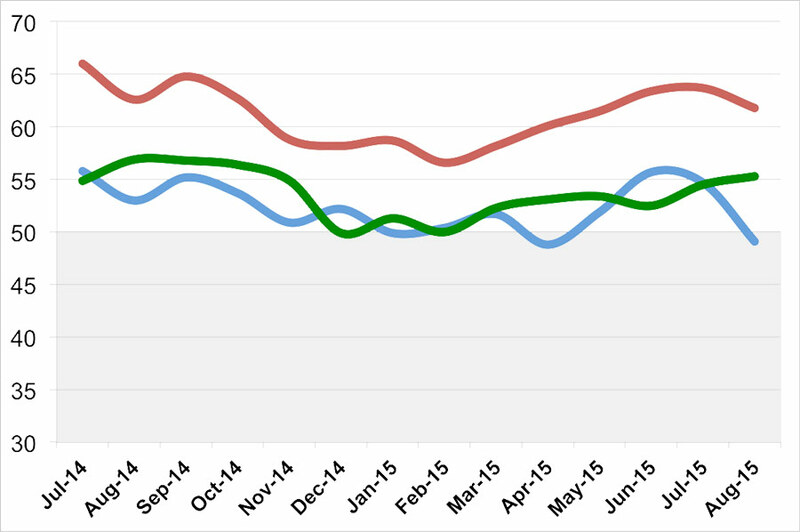 In July, the new projects inquiries index was 63.7, while August’s number decreased by 1.9 points to 61.8. 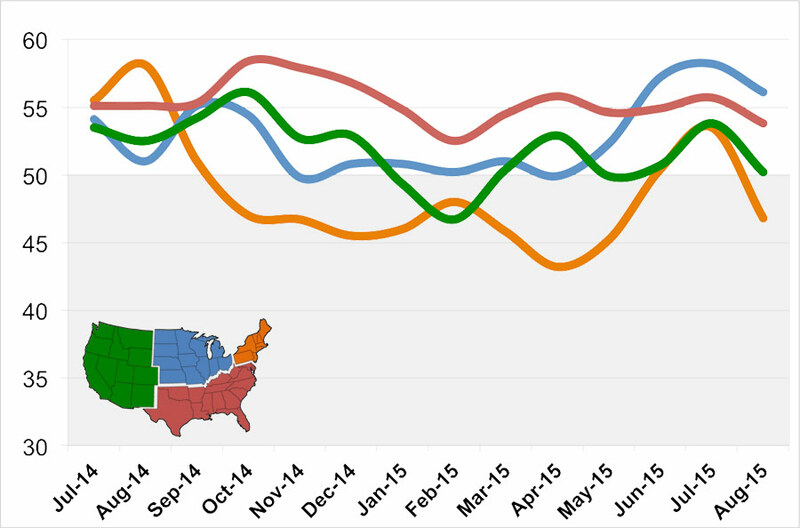 Regional averages were 50.2 (West), 56.1 (Midwest), 46.8 (Northeast), and 53.8 (South). By sector, mixed practice (52.8) and institutional (53.7) were in positive territory, while commercial / industrial (49.7) and multi-family residential (49.5) just skirted the positive mark. 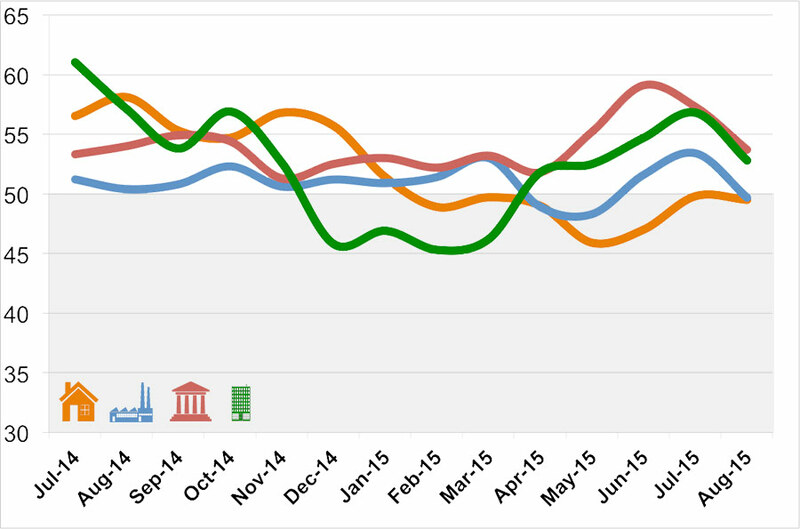 The design contracts index was 55.3 for August, an increase of 0.8 points over July.